Once upon a time I was a shampoo slash Assistant at a hair salon not too far from my house.My mom heard they had an opening and told them about me. I walked over and they were willing to give me the job and I took it. It was a slow start. Then after a while of me watching hair stylist.Shizz began to train me. I enjoyed working in a shop and I was learning a lot. This particular instance Shizz was teaching me how to put a relaxer in. I was 18 I believe and I know that sounds crazy but I’ve never had a perm. Shizz decided that it was time for me to do one on my own with his supervision of course. The young lady that came in seemed okay it was her first time coming in to the shop. I asked her the standard questions. Do you have any sores? Have you scratched your scalp lately. I remember being very skeptical because the women did have braids.I followed Shizz’s direction. I made it through the application process. I had just started the timer when the lady jumped out of her seat. She had her hands in the air. I ran for the bowl and turned it on. In the process of trying to calm her down home girl flung her head, and I got relaxer on my hair and my bare skin ( my smock was rolled up). When I tell you I flipped out! Let me give you a little back story. That day I decided to blow dry and pick out a huge fro. This was not good. If only I would have known.I literally went from trying to calm down a frantic client (rightfully so)who was running back and forth ,to becoming frantic myself. This was my first time having relaxer near my hair.I didn’t realize how much I loved my natural hair until that day. Now I know what your thinking did we ever get the relaxer out. The short answer is yes. She was fine no scabes or wounds. However, me and her learned a valuable lesson. She learned not to lie to her hairstylist. I learned that I wouldn’t be caught dead with those chemicals in my hair. My boss had a good since of humor and we were able to laugh about it later. Just to be clear my nerves were shot after that.I don’t even remember what we did to her hair after the neutralized shampoo.Later on Shizz schooled me on professionalism but all in all it worked out.I had a lot of good laughs in that shop.The hairstylists I met there meant a lot to me especially Shizz. I hope that he is well where ever he maybe.Remember, be happy, be curly, be you, and you will never fail. 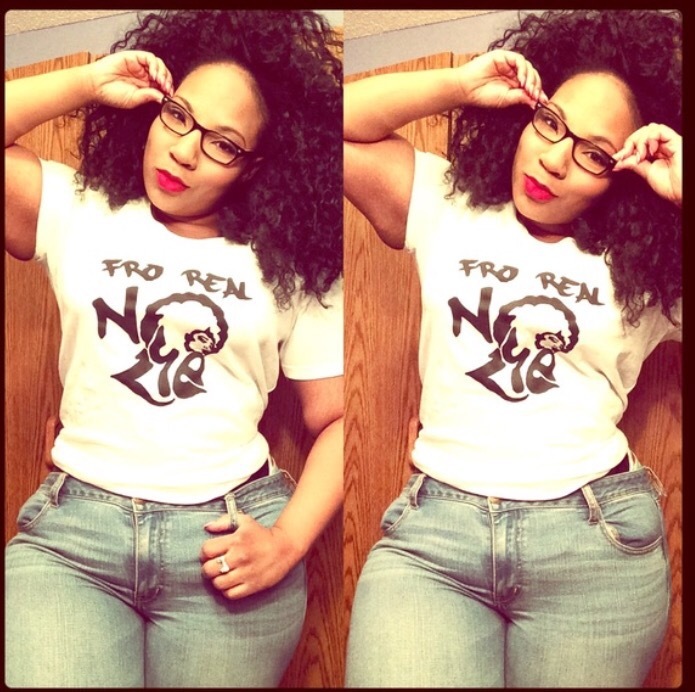 This Post was posted in hairstory and tagged afros, big hair, curly hair, natural girls, natural hair. Bookmark the permalink.